Home / Dogs Exercise / How important is exercise to your dogs? Exercise is important to your dog's health. Don't neglect your dog's needs. Dogs gain the same benefits from exercise as humans do. Exercise your dog in order to help keep his weight down, ward off disease, tone muscles, and boosts the energy. It is also beneficial for the heart and lungs. This holds true for practically every living being. So why not provide your dog with the exercise he needs in order to keep him healthy and help prolong his life. Starting an exercise regimen can be beneficial to both you and your dog. Get yourself involved in your dog's exercise routine. It could be anything from taking a jog through the park to playing a game of fetch. Your dog depends entirely on you to get the exercise he needs. Don't neglect this important aspect of your dog's life because it could have a great impact on his quality of life, and yours. 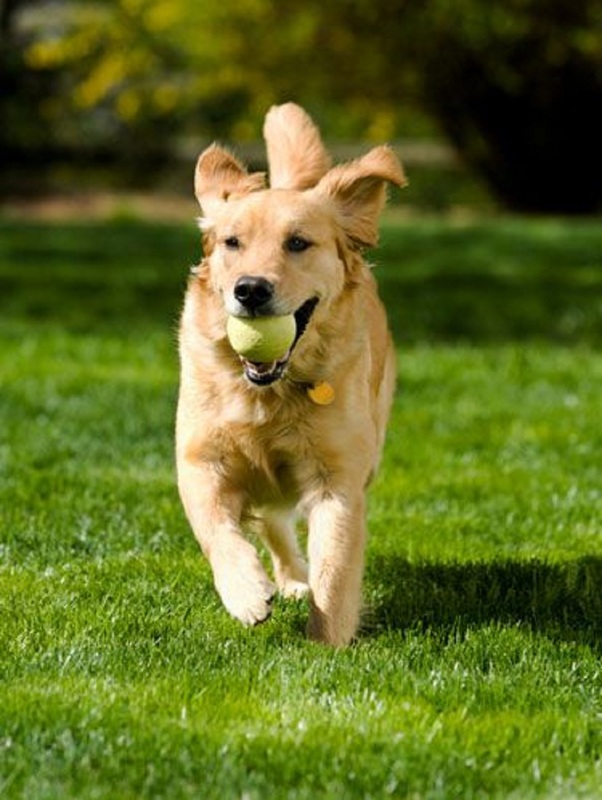 Once your vet has given your dog a clean bill of health, start to exercise your dog at a slow pace. Like humans, they need to build up their stamina slowly. Start with a 15-minute walk through the park for the first few weeks. This will get his blood pumping and loosen up his joints. Then you can either choose to lengthen the walks or start up a slow jog (depending on his physical condition, and yours). Another benefit of exercising your dog is that a tired dog will stay away from mischief, such as chewing on furniture. The amount of exercise your dog gets depends largely on his age, size, and weight. Exercise regimens should be tailored to your dog's needs. A large breed, such as the St. Bernard, shouldn't have the same exercise routine as a Cocker Spaniel. Some breeds are more agile than others, therefore can handle more vigorous exercise. If you have any doubts, see what your vet recommends for your dog. Some dogs can get so excited about their new exercise program, that they often won't stop until you tell them to stop. Be sure to look out for the telltale signs of over-exertion. When going for a walk (or run), keep your dog on a retractable leash. This will allow you to keep him from running into the street but will also help you guide your dog away from a potential dogfight. Running on a grassy area will keep your dog's paws from getting irritated. Avoid concrete or stone pavements. Check for signs of fatigue, such as shortness of breath, heavy panting, limping, or anything else that's seems out of the ordinary. Provide your dog with plenty of water (as well as yourself). Bring along a water bottle for both of you. Hydration is very important during and after vigorous exercise, especially if the weather is hot. If the weather is extremely hot or extremely cold, it is a good idea to shorten the time spent outdoors. Aside from going for a walk (or run), there are other ways to exercise your dog if you're not into exercising today. Try throwing a frisbee or playing a game of fetch. Any exercise your dog gets is better than none at all. Every dog needs a certain amount of exercise, some more than others. Check with your vet to get the recommended daily dose of exercise for your dog. How important is exercise to your dogs?